According to the National Oceanic and Atmospheric Administration (NOAA), 2017 was an historic year for climate and weather disasters. 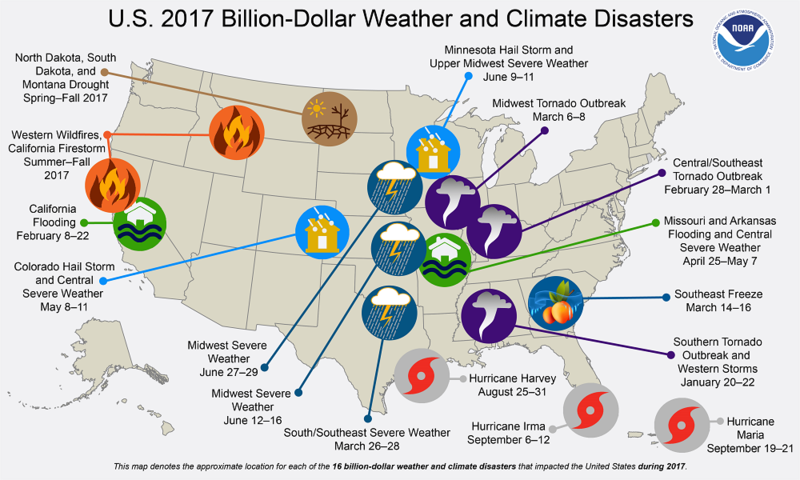 It was the costliest year on record for natural disasters in the United States, exceeding $300 billion in damage from 16 separate billion-dollar events. The frequency and cost of 2017’s natural disasters should give all Americans pause. The barrage of hurricanes, unprecedented rainfall and flooding, searing wildfires, and extreme heat affect us all in one way or another. 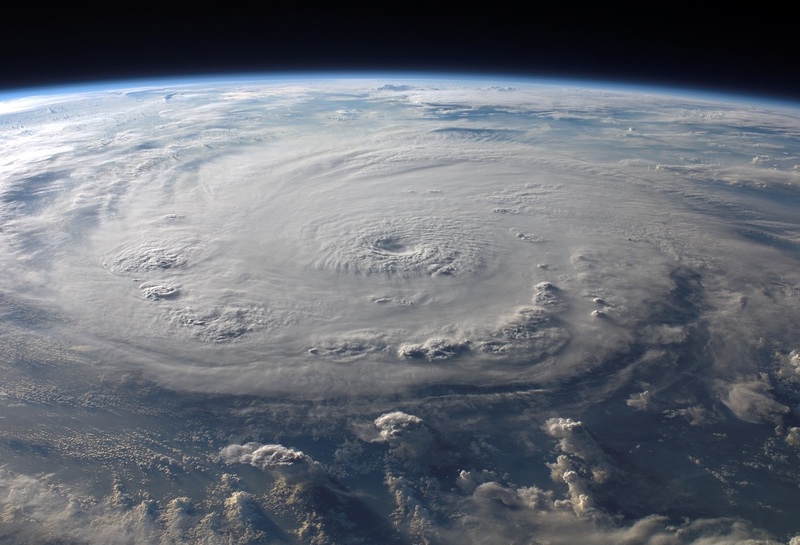 Emergency preparedness is of the utmost importance as experts believe that years like 2017 may become the new normal in terms of disaster intensity. As a risk management and mitigation consultancy, TigerSwan’s modus operandi is in being prepared. While contingency planning can provide a framework for responding to emergency situations, it is our decades of collective experience in mission planning and rapid response, from both military and law enforcement backgrounds, that has built a preparedness mantra into the company’s DNA. It is always easy to talk about emergency preparedness in the abstract, but when Mother Nature wreaks havoc to the degree witnessed time and again throughout 2017, there is no room for mere rhetoric, only action. TigerSwan was very active during the 2017 hurricane season, turning emergency response plans into emergency response action. 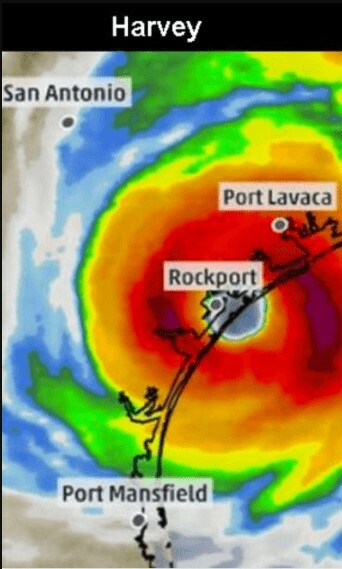 Hurricane Harvey made landfall in Texas as a Category 4 hurricane on August 26th, 2017. Most people associate the danger of a hurricane with their wind speed, which at 130mph when making landfall in Texas, made Hurricane Harvey an undoubtedly powerful storm. However, Harvey proved to be so damaging and so costly due to its record-breaking rainfall. It is estimated that Harvey dumped 24-34 trillion gallons of rain on Houston, creating 4 feet of flood water throughout much of the city. Despite warnings of catastrophic rainfall, many people who did not heed warnings to evacuate were trapped in their homes. Today, the images are Harvey’s aftermath are familiar but still awe-inspiring. In response, TigerSwan coordinated a high-water rescue in Houston. Teaming up with the North Carolina National Guard (NCNG), we donated our proprietary GuardianAngel Platform for use to monitor and track air assets that were dispatched to support the response efforts in Texas. By embedding GuardianAngel tracking beacons onto National Guard aircraft, TigerSwan provided valuable visibility and a Common Operating Picture (COP) for the operations of the NCNG in Houston to Joint Forces Headquarters in Raleigh. Another massive hurricane threatened the United States just weeks later. Hurricane Maria made landfall in Puerto Rico as a Category 4 storm during the early morning hours of Wednesday, September 20th, 2017. Arriving in the aftermath of Hurricane Irma, Hurricane Maria ravaged the small Caribbean island with tremendous force, leaving behind a disaster zone across the entire territory and wiping out all electrical infrastructure. Millions of Americans were left without access to potable water and a lasting food supply, unable to communicate with loved ones, and incapable of receiving emergency relief information. The situation was truly dire. TigerSwan’s response to Hurricane Maria was swift and robust. After receiving a client request for support on Friday, September 22nd, TigerSwan gathered team members for dispatch and by Sunday, they were en route to the island on a private aircraft fully loaded with supplies. Armed with nothing but a list of names and addresses, our team set out on a search and rescue mission to locate displaced employees, enabling our client to meet their Duty of Care to their employees. With no personal knowledge of the territory, TigerSwan leveraged expertise from the local population to assist with coordination. TigerSwan’s primary coordination tool, GuardianAngel, provided the teams and the client a Common Operating Picture to observe progress and submit live updates. From monitoring unique personnel traveling deep into the interior of Puerto Rico via GuardianAngel satellite-enabled beacons, to tracking key assets in the air and on the ground using a variety of cellular or satellite-based beacons, GuardianAngel gave the team a real-time view of actions and activity around the island. With local infrastructure totally destroyed, TigerSwan’s Global Security Operations Center (GSOC) was invaluable in assisting and coordinating the rescue efforts in Puerto Rico. After successfully locating close to 100 local Puerto Rican employees of our client and providing generators, water, and assessing medical needs where possible, the core team returned to North Carolina. In total, TigerSwan spent nearly 20 days in Puerto Rico aiding the relief efforts. 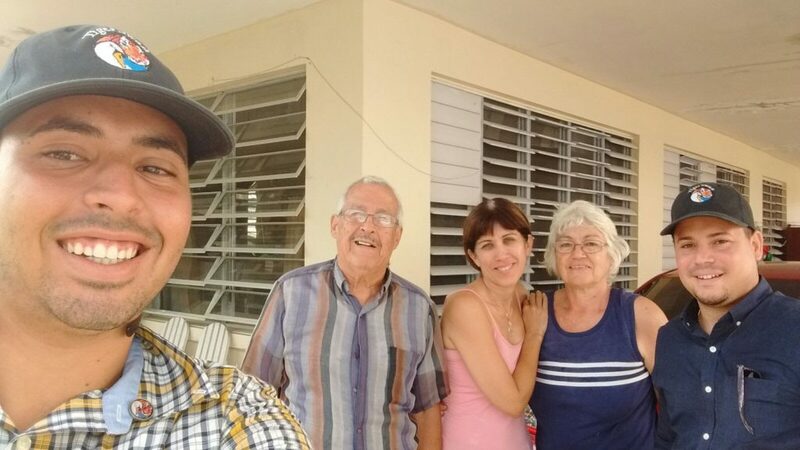 However, weeks after Maria made its landfall in Puerto Rico, a local school teacher in the Raleigh area contacted TigerSwan seeking assistance after she saw a local news story about our team’s efforts. She was very distraught, explaining that she had an uncle with medical problems that they had not heard from since the storm hit the island. The family was beginning to fear the worst. 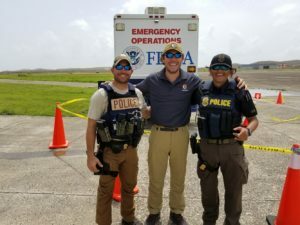 Despite the unprecedented damage, despite the unfathomable realities on the ground in disaster zones like Houston and Puerto Rico, despite the personal uncertainty required to respond to the emergency situations of 2017, the men and women of TigerSwan did not hesitate in their instinct to respond. Nor will they when the next natural disaster strikes — responding to emergencies is in our DNA. 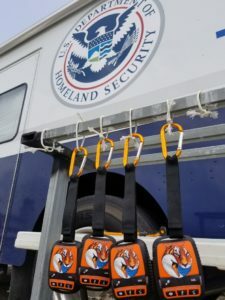 The GuardianAngel Platform was crucial to the success of TigerSwan’s emergency response and Duty of Care missions during the 2017 hurricane season. Together with our Global Security Operations Center (GSOC), GuardianAngel provided a Common Operating Picture for Analysts monitoring the situation from hundreds of miles away and emergency responders rescuing trapped individuals on the ground. Without the real-time view of actions and activity occurring in Puerto Rico and Houston, first responders would have been uncoordinated, sacrificing valuable time and energy. 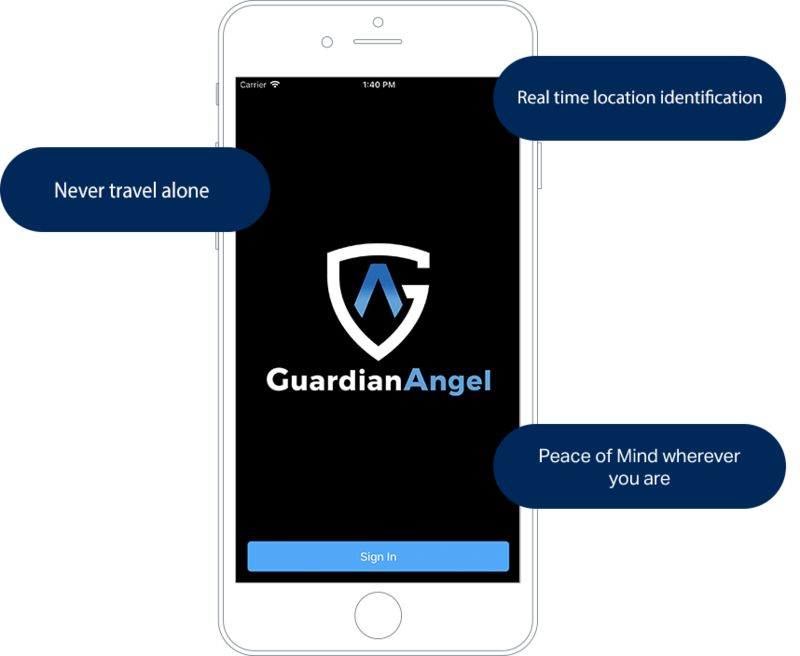 Our GuardianAngel visual analytics platform provides a broad range of services dedicated to maintaining the operational safety and fulfilling Duty of Care – no matter where opportunity leads. TigerSwan’s GSOC is at the heart of our Duty of Care mission. With operations continuing 24/7/365, GuardianAngel’s unblinking eye never rests thanks to the Security Analysts in the GSOC. Our emergency assistance app provides real time tracking and pinpointing of your location and provides a direct link to our emergency response center. Secure your personnel and fulfill your Duty of Care with our app.